George Miller showing Laurie some things of interest. 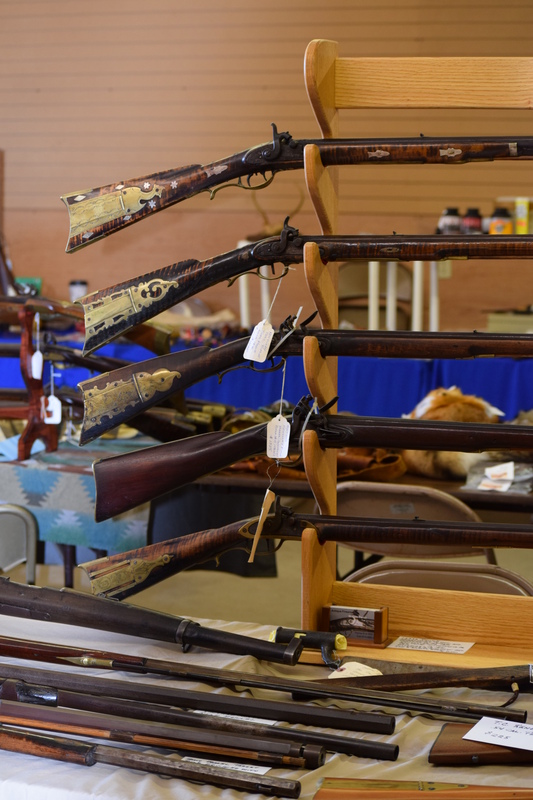 This morning, Laurie and I, attended the Antique Firearms and Indian Artifact Show. 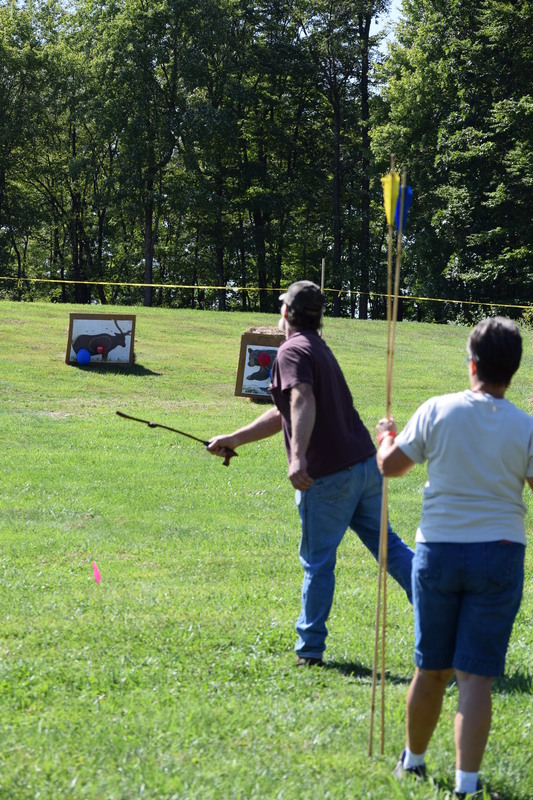 This annual event was held at the Jefferson County Fairgrounds near Brookville, Pennsylvania. This would be Laurie’s first time on her feet for an extended time since her back surgery. She did well! 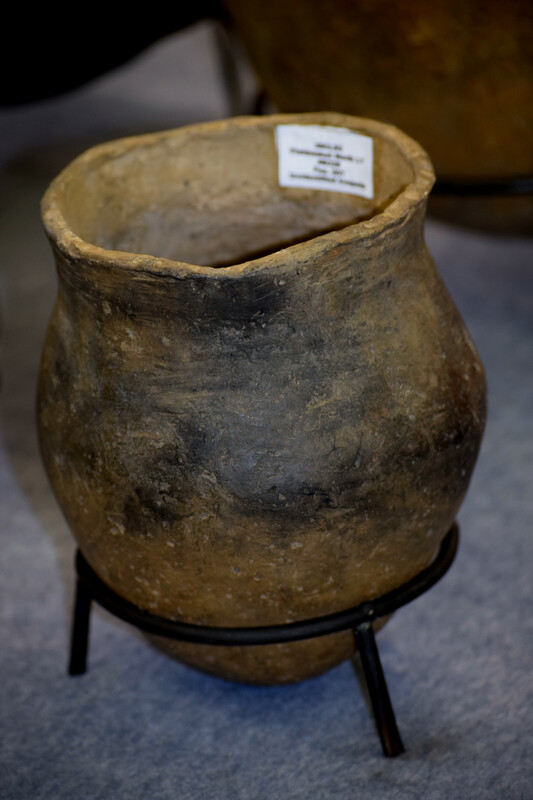 Reconstructed pottery from a dig. Lots of firearms, and nobody was shot! Imagine that! Another friend who showed up was Dana Gould of Distant, Pennsylvania. We have been friends for a long time as well. 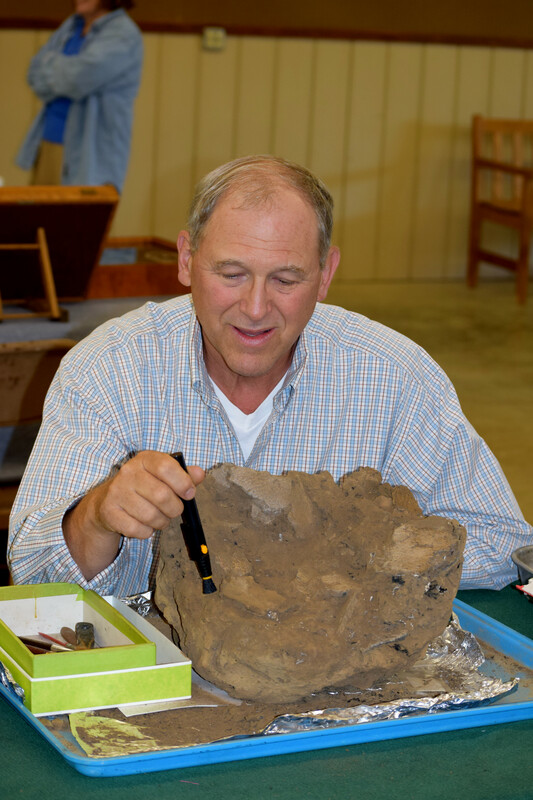 Members of the Venango Chapter #30 had a display of a large clay, and dirt ball surrounding many pieces of Indian pottery. he would demonstrate the method of removing the surrounding dirt. Once completed, the tedious task of working the broken pieces together begins. Thankful people take the time to save such artifacts. 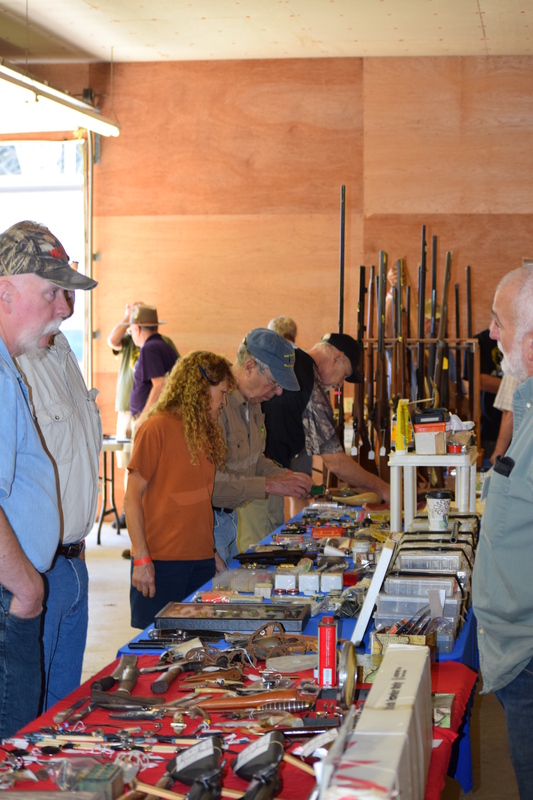 Along with seeing friends, many muzzleloading rifles , and such abound. powder horns, artifacts, and about anything one can imagine from our early history can be viewed . 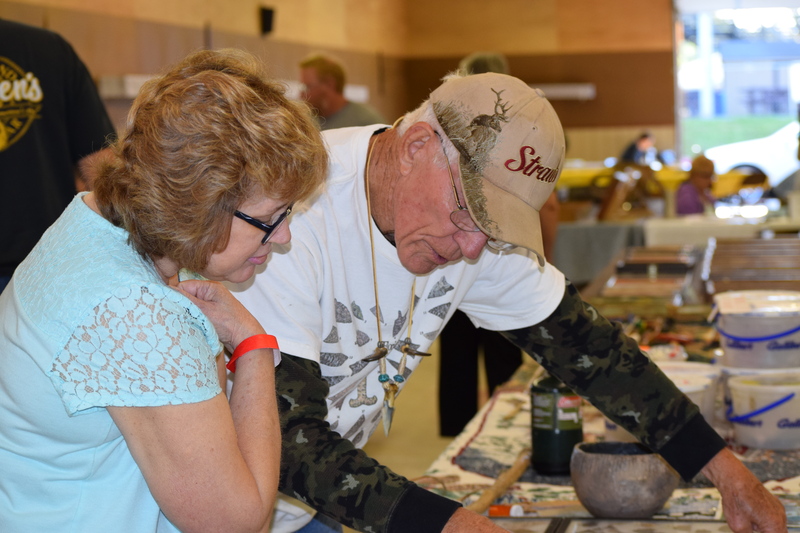 Flintknappers showed interested people how the Indians chipped away at flint to make beautiful , and lethal points. There were a lot of flintlocks, percussion rifles, Civil war era rifles, swords, knives, tomahawks, and yet no killings occurred.